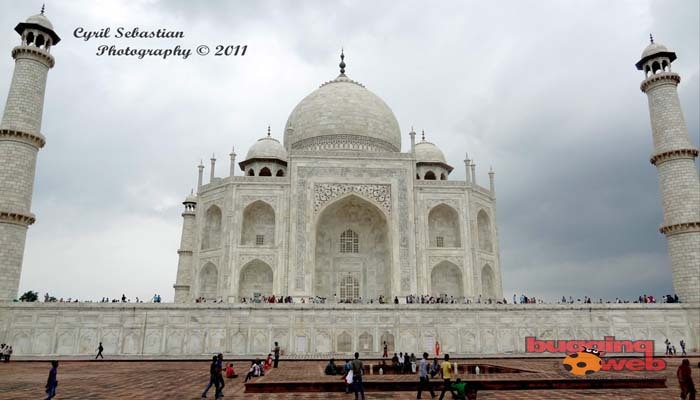 Two weeks back when I was planning a tour to Agra with family, I got the Sony Cyber-shot HX9V for review. Sorry for the late review, but I thought its a good chance to test a new camera. You might have also noticed it in the new ad, in which Deepika Padukone is running after Deers to gets HD images. 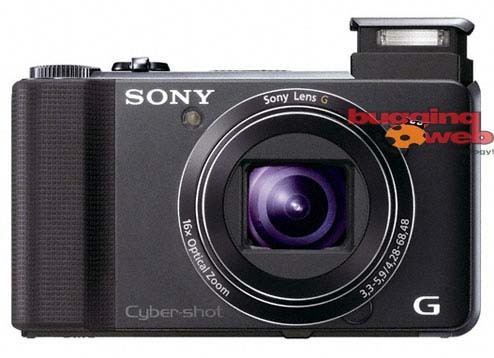 Today I would be sharing more details on Sony Cybershot DSC(Digital Still Camera) HX9V. Yes I had, lot of fun on the trip and I must say this Sony HX9V captured lot of memorable moments. Sony Cyber-shot HX9V has added all the DSLR camera features in it, which gives a new experience to its users. The DSLR controls are very smartly managed and well organized with its interface to reach all the option with ease, this brings the passion of photography in you. With the BIONZ processor in HX9V which reduces the chance of distortion at the telephoto. It is built up with 16x Optical zoom f/3.3 – f/5.9 Sony G lens which gives the ultrawide angle zoom lens upto 24-384mm. Exmor R CMOS Sensor uses the backside illuminated sensor which re-positions the layers in such a way that it adjusts the formation of light effect and gives best video and still images with improved less noise. In simple words it means that Sony Cyber-shot HX9V can capture best images even in low light without flash light. The body is made in a ‘G’ shape with the Dimensions of 104.8 x 59.0 x 33.9mm and weighs 245g. When it realises to add more light to your still Images Sony Cyber-shot HX9V pop out a Xenon flash from the corner. The lens cover opens up pretty fast than expected. It also have a inbuilt stereo on top of the camera to hear your video recordings. A grayish metallic body with a wedge of rubber to increase the grip even if you are shooting one handed. The back side of the camera has 3 inch screen which gives a good sense of image you can capture. You will also notice a red button at the backside of the camera as it is dedicated for one touch movie recording. The Lithium ION Battery has a good battery backup which run more than 12 hrs if used efficiently. While saying efficiently for batteries I mean that switching it off once the required stills have been taken. The stylish look also have been taken care off but one thing to be noticed is that you cannot keep Sony Cyber-shot HX9V in your jeans pocket because of the thickness, wear cargo or jacket for a change. There are lot of interesting features which make Sony Cyber-shot HX9V worth buying for you in this festive season. Sony Cyber-shot HX9V allows you to record full 1080/60p HD video, stereo audio, 3D stills, and instant panoramas. With full speed, camera can burst snaps upto 10fps(frames per second). Sony Cyber-shot HX9V has a built in GPS features which is used to do geo tagging with the images, this helps to remember easily that where was this Image taken. The compass can be seen when this feature is enabled. It has various photo mode like Superior Auto, Program Auto, iSweep Panorama, 3D Sweep Panorama, 3D Still Image, Sweep Multi Angle, Handheld Twilight, Backlight Correction HDR, Background Defocus, Anti Motion Blur, Manual Exposure. Sony Cyber-shot HX9V has ISO sensitivity which has a Auto ISO mode which adjusts low light accordingly or you can select various modes like 100, 200, 400, 800, 1600, 3200 manually. It comes with 3D mode with special anti-motion blur features, and twilight mode to monitor the amount of light which falls on the sensor to get a better image, also helps to lower the noise by stacking images on Sweep Panorama view. The Sony Cyber-shot HX9V is built in with Exmor R CMOS Sensor which adds light effects and adjust itself to give the best image if the image is taken in low light. The shot taken is in JPEG format and ranges 5MB to 16MB. The Intelligent Sweep Panorama has hand shake features activated, whenever the hand shakes Sony Cyber-shot HX9V prompt to re-take the Image. These Panorama and the 3D images are saved in MPO format. There are various modes of taking images in 3D and Panorama view but the difference is about the frames it adds to the Image in different modes. If you think it takes time to make such panorama, then you are mistaken as the processing time is very fast and gets ready for the next shot. Background defocus feature highlights the face detection option to get a better and quality image. It blurs the background and also allows you to zoom into the object. As Sony Cyber-shot HX9V is 16.2 megapixel camera and you can take HD images too which means lot of storage space. So, it is better to have 4GB(comes with camera) or more storage. GPS is also effective option which is added to the Sony Cyber-shot HX9V. ISO sensitivity helps to take high quality stills in Dark shooting condition. It also gets activated while shooting a video, if you are not good with the ISO levels you can activate Auto mode. Sony Cyber-shot HX9V is a very good camera for new camera users with DSLR feel. It is a good deal with all these features, which other cameras don’t have at this range. If you like this blog please follow me on Twitter @cyrilsebastian and like the Facebook page. Wow, amazing weblog format! How long have you been blogging for? you made blogging look easy. The entire look of your web site is magnificent, let alone the content material! Thanks a tonne! Am new to blogging but will try to extract something new to my readers. « Jabra launches STREET2 Bluetooth Pendant in India.